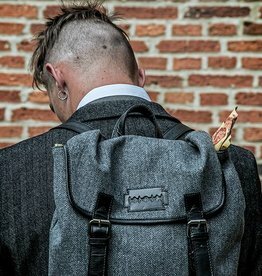 Truly a men’s backpack for hard workers. 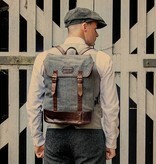 This beauty from the Shelby Brothers collection is as tough and rough as 1920’s Birmingham itself. 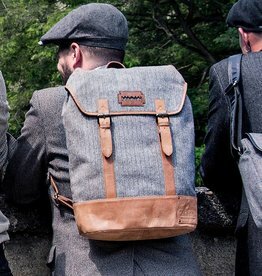 Named after good old uncle Charlie Strong, a proud member of the Peaky Blinders. 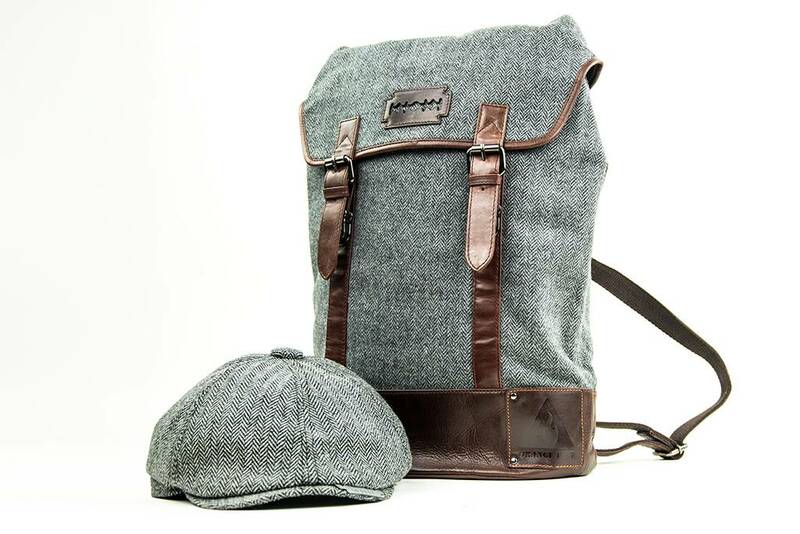 With this extraordinary backpack, you too can become part of the family. 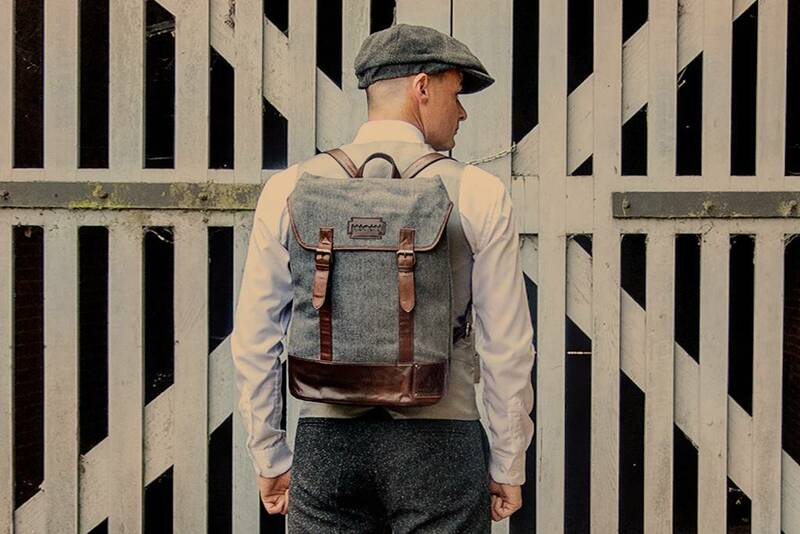 Inspired by the clothing of the Shelby brothers and their lot, we’ve created a great collection of Peaky Blinders Bags for men who love looking stylish with a hint of rawness. 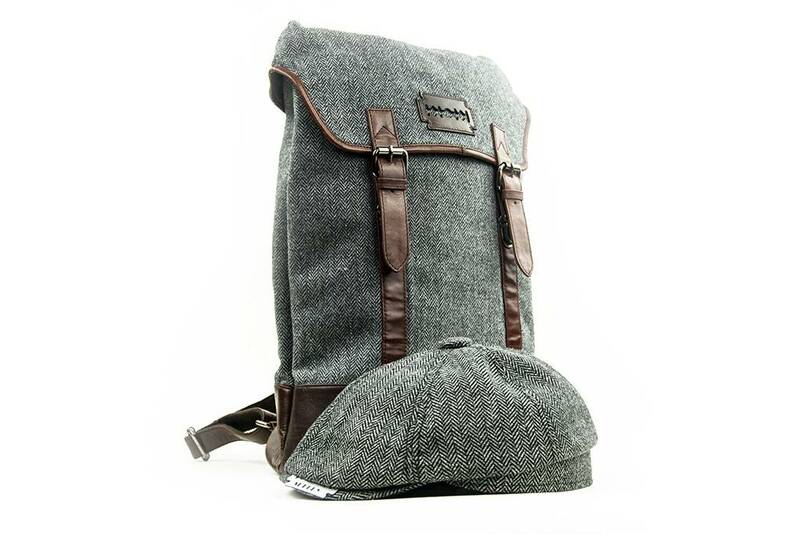 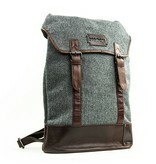 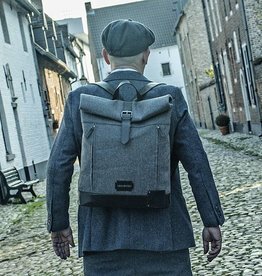 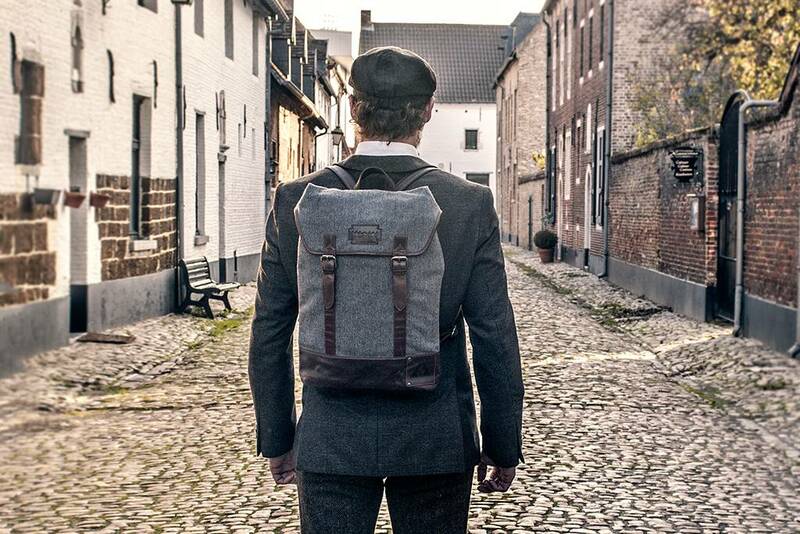 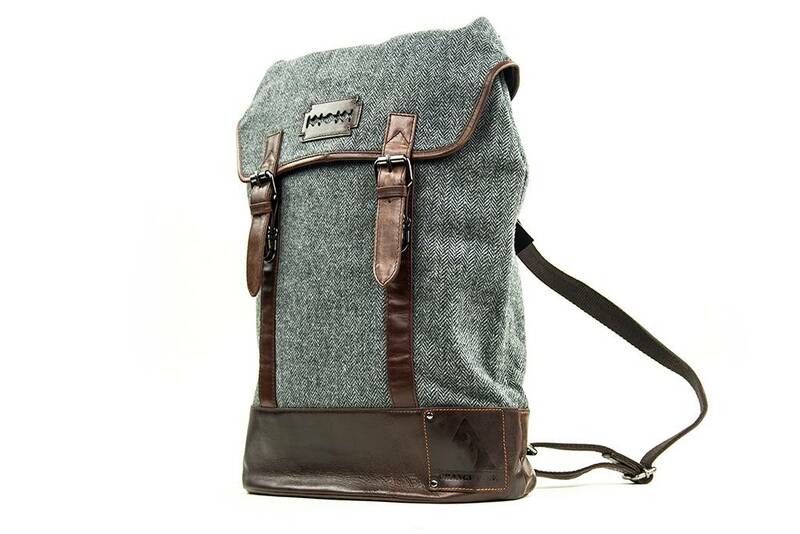 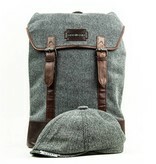 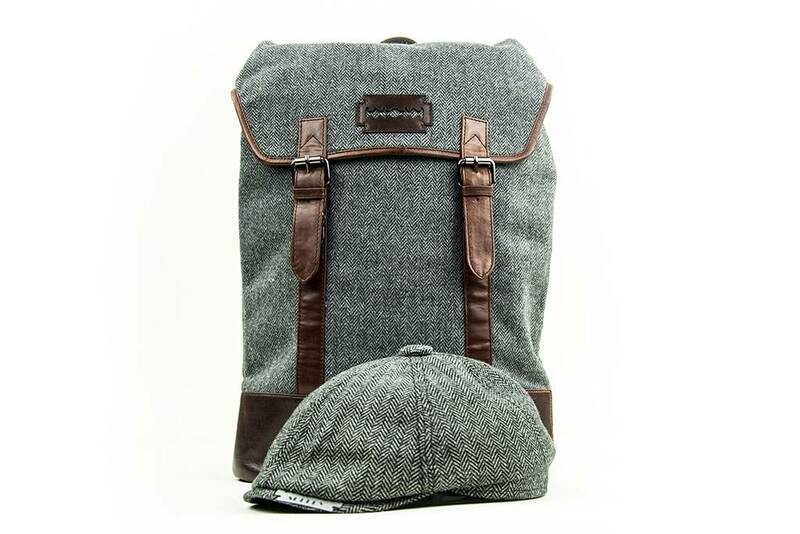 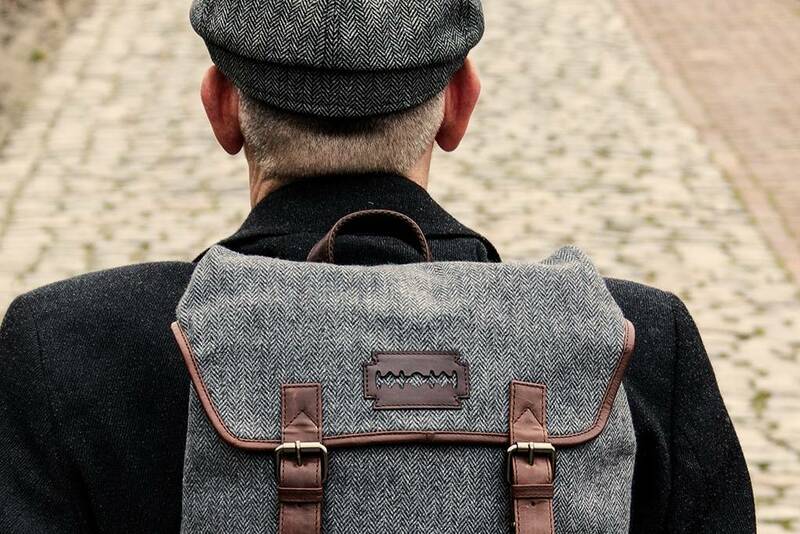 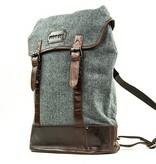 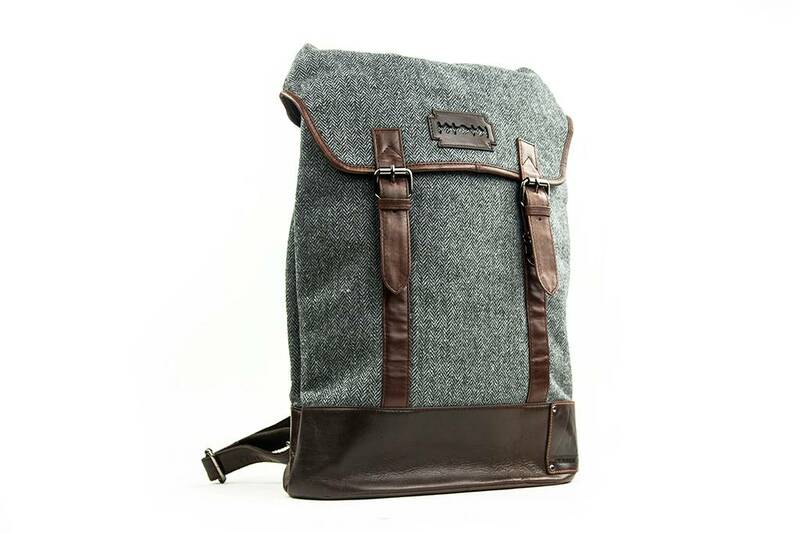 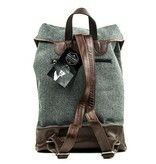 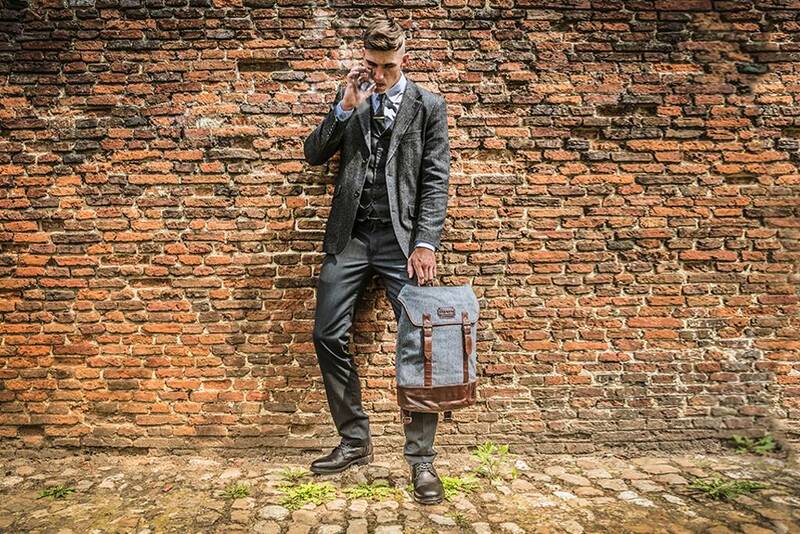 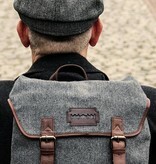 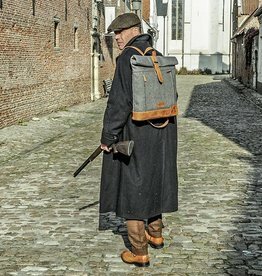 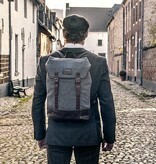 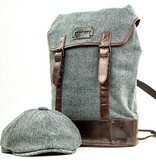 Backpack Charlie combines solid grey Harris tweed with dark brown vintage look leather for a sturdy and rough look. 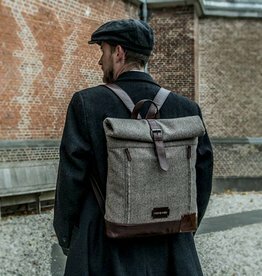 In the spacious main compartment you’ll find a separate padded laptop compartment for a laptop up to 15.6 inch and various smaller pockets and organiser compartments that allow handy storage of all your belongings. 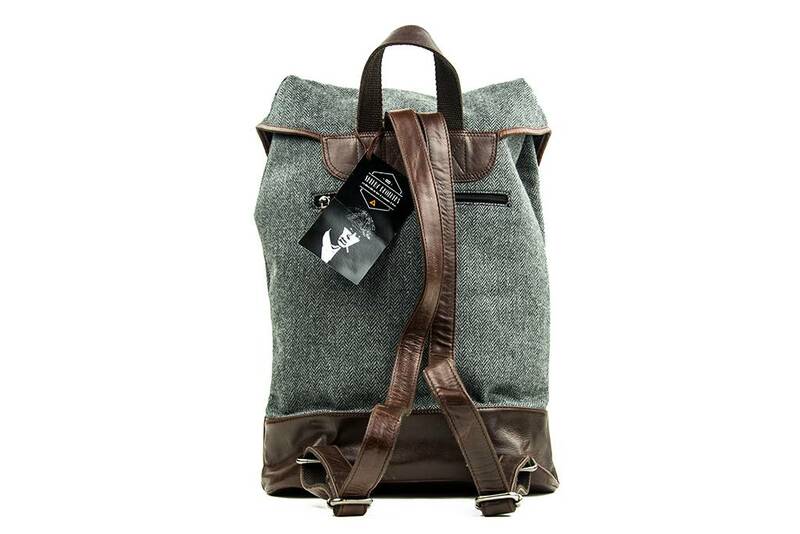 Please note the beautiful and carefully applied details, such as the leather bottom and straps, and the exclusive Shelby razor logo. 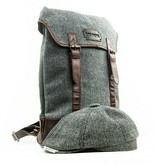 Spacious main compartment with padded laptop compartment, phone pocket, organiser pockets, pen holders, zippered pocket.